How to lose weight with water ? It is great way to lose weight using water. Whether it is in you or you are in it, water is a great way to lose weight. There are several reasons which supports the fact that you can lose fats by drinking water. Let’s see how. 1. Drinking water fills the stomach with the substance that has no calories in it. It is a great ad junk to your weight lose guide because if your stomach is full of water you will not eat as much. Also researches say that water consumption increases the rate at which body burns the calories without affecting much. Water works as an appetite suppressant as it makes your stomach full without any calories intake. So, whenever you feel little hungry, just drink plain water and it will keep your hunger away for long time. Cold water is said to be more effective for the fat loss process. Since the water is ice cold, so body will utilize some extra calories to heat up this water. This will contribute to the entire fat loss process. 2. Whenever body burns fats, it leaves some waste material or residue ( Ketones ) behind. This waste material is processed or filtered by our kidneys and they need a lot of water for the process. In case there is lack of water, liver comes to rescue and thus stops its process of burning calories and body fats so to prevent further residue storage and to maintain adequate water level. 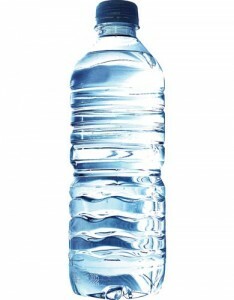 So, in order to continue the process of burning fats, regular supply of healthy amount of water is necessary. 3. Whenever you start the process of losing fats, your body starts sensing the downfall in the supply of amount of food. This leads to fall of body temperature and energy level. Since water have filling effect, it creates an illusion of fullness of stomach and thus makes the body feel that there is adequate water content in the body and not an emergency situation. 4. Body muscles consist of 70% water and muscles are the calorie burning machines. Adequate amount of water intake keeps muscles healthy and thus they burn fats rapidly. During hard aerobics or fat burning exercises, body tends to sweat and a lot of water of lost during this fat burning process. So we need lot of water intake to maintain good water level in the body. 5. Drink two 8 ounce glasses of water before the meals if you want to lose weight. Some studies shows that people who drink water before meal usually eat an average of 75 fewer calories at that meal. 6. Studies show that muscles filled with more fluid have more tendencies to attain and retain more nutrients. These muscles are considered to be healthier and have good metabolic rate. So, healthier your muscles are, more will be the fat burning rate.